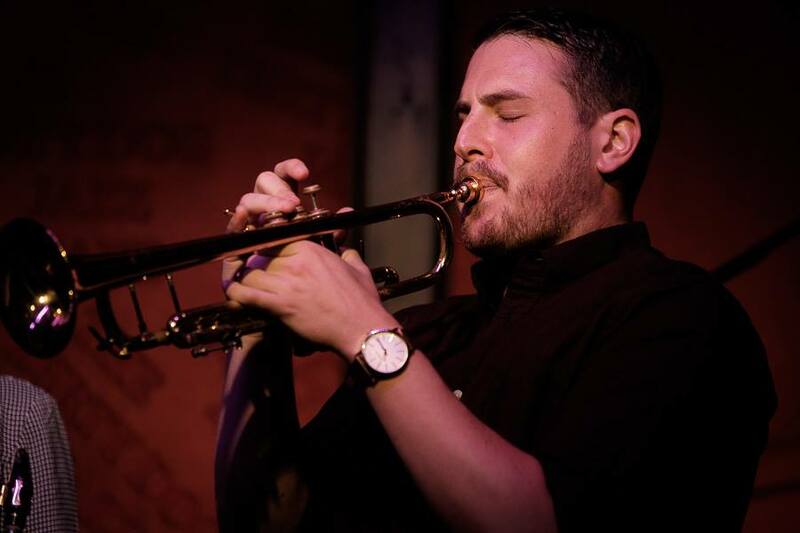 Trumpeter and Massachusetts native Aaron Janik has been steeped in the discipline of music from the age of 10. His earliest introduction to music was by way of revered New England trumpeter Jack Martin. Aaron has studied with and been mentored by trumpet greats Marcus Belgrave and Sean Jones. He has also been fortunate to study with Gary Bartz, Robin Eubanks and Billy Hart to name a few. Aaron now resides in Los Angeles, CA where he educates music students across the city and regularly performs and records with artists across the country, touring with chart-topping artists like R&B First Lady Faith Evans, Dwele, Kierra Sheard, and jazz legend Robin Eubanks. In the past couple years he has also performed with Charlie Wilson, Lil Kim, 112, Total, Bone Thugs & Harmony, Les Nubians, the Clark Sisters, Gino Vanneli, Carl Thomas, Lisa Page-Brooks, Eric Roberson, and J Drew Sheard to name a few. Janik’s sharp technical skills and quick ear have afforded him opportunities to travel to numerous venues across the world. He is also currently a part of a collective of musicians called KNMDK and a corresponding worldwide educational outreach initiative with the “Knomadik Project.” This collective contains some of the most talented composers and musicians in the country, and they travel to schools, educating children on musical possibilities and providing them with scholarship info to make the possibility of an affordable college education a much more real one. The band released its first EP, KNMDK 001, in November of 2017. In addition to these tremendous opportunities Aaron Janik continues to hone his skills as an artist and arranger via Knomadik Horns (a Detroit-based Horn Section).